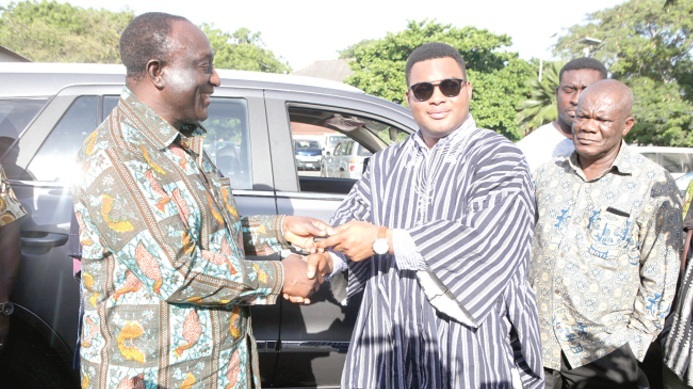 Local automobile company Kantanka has expressed concerns over what they believe is the hasty approach government has resorted in signing the agreement for the establishment of an assembling plant of German car giant VW in Ghana. According to Katanka, government failed to do the necessary stakeholder consultation before signing the deal. In a statement Kantanka said although they are not against the coming of VW into the Ghanaian market, they hoped the government had attached speed and relevance to the numerous proposals that they have submitted to it like it did in the case of VW. “We want to state emphatically that we welcome the news of VW setting up a plant here in Ghana. We are not against it. We are aware there will be competition, as there has always been and this is going to give us the marginal propensity to work hard and achieve our long term goals for mother Ghana and Africa. “However, we are of the view that government has hastily signed the agreement without broad stakeholder consultations. “We are shocked to learn that the Ministry of Trade and Industry is part of this deal and want to question the Minister’s position in the promotion of trade and industry in Ghana vis-à-vis the local automotive industry,” Katanka bemoaned. VW’S ASSEMBLY PLANT IN GHANA. The paper stated that the Memorandum of Understanding (MoU) for the establishment of the automobile assembly plant was signed between Volkswagen (VW) and Ghana’s Ministry of Trade and Industry. Prior to the visit of the German Chancellor, the Senior Minister, Yaw Osafo-Maafo, in a press briefing at the recently held Graphic / Stanbic Breakfast Meeting at La Palm Hotel on August 1, 2018 stated and it was reported by the Daily Graphic of August 2, 2018 that, two international automobile companies are expected to set up their plants in the country to assemble their brand of vehicles. Senior Minister Yaw Osafo-Maafo again stated that two separate MoUs were submitted to the government and government has fast-tracked the signing of the MoUs to expedite the setting up of the plants. We want to state emphatically that we welcome the news of VW setting up a plant here in Ghana. We are not against it. We are aware there will be competition, as there has always been and this is going to give us the marginal propensity to work hard and achieve our long term goals for mother Ghana and Africa. We are also shocked to learn that government has fast-tracked the signing of the MoU and want to ask the sector minister, still the Minister of Trade and Industry and again his Senior Minister the last time they have fast-tracked any of the numerous proposals that we have submitted to their offices. We are again shocked that in the MoU, government has agreed to buy “a certain amount of the cars”from the companies yet to be established and want to ask the Senior Minister if Kantanka has ever been given that opportunity. i.Under which policies are the international companies going to operate? Under which Custom Procedure Code (CPC) are their knock downs going to be treated? We want to remind all Ghanaians once again that Kantanka is not against the setting up of auto assembly plants in the country but nostalgic memories are that we have seen Nissan here in the early 70s, DAF and Neoplan existed and when the going got tough they closed down and left us. Kantanka has come to stay.